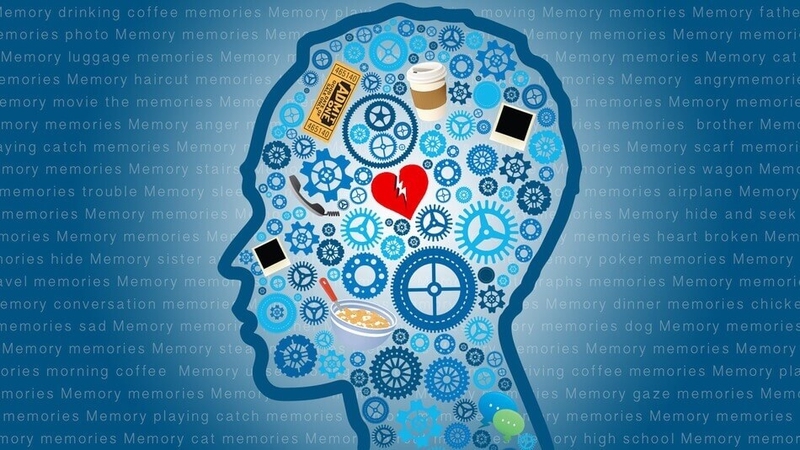 How Can You Increase Your Memory Power? Our minds are like our bodies – leave them unattended for too long, and they start deteriorating. It’s essential to keep both in good conditions. But the thing is, we all know about the many ways in which we can improve our body. But then, what about our mind? How can you make your brain more active? How can you exercise it effectively? The human brain is 73% just water, and it needs a lot of water to be able to function properly. A lack of proper amounts of water leads to the dehydration and shrinkage of your brain. This in turn leads to a massive reduction in your cognitive skills, including your concentration, memory power and alertness. So go ahead and chug at least 7 liters of water daily! Now this skill could be something as small as learning how to knit or something as big as learning how to read and write Japanese. When you engage in purposeful activities, you exercise the neurological system of your body. It consists of the brain and the spinal cord and can be said to be the body's information processor. The more you work it, the more your chances of increasing memory power are! It works just as well for you. Plus, you’ll have someone to look forward to meeting every time you go back home from school, college or work! When it comes to small and easy calculations, stop relying on your calculator and do them mentally instead. If you find this difficult, then grab a pen and a piece of paper to solve it the old school way. Such a simple activity stimulates your brain easily by making it work harder, and this is a great tip on how to increase memory power. Not only are physical activities good for your body, but they work wonders on your brain as well. Several independent studies have proved beyond a shadow of doubt that partaking in regular physical activities greatly improves cognitive abilities, including your memory. Long story short, medication helps you concentrate and zone out noise in your environment whenever possible. And of course, several studies and researches have been done, all of which concluded that the more a person meditates, the more improved memory powers they display. Sometimes, remembering or memorizing pure data becomes difficult. In order to be able to memorize as much as you can, involve your other senses. Start associating smells (like a specific perfume), sights (the color of someone’s shirt), tastes or texture to add more info to the existing data you are trying to memorize. It will immediately help you in recollecting more details than before. While memorizing stuff, we often tend to zone out and have to go back and forth till we can finally memorize that data. However, reading it out loud a couple of times or writing it down (not typing) greatly helps you with how to increase memory power without much effort. Recalling information for your brain is the equivalent of a light cardio workout for your body. Go ahead and make a list of 20 random items, and then memorize them in order. An hour later recall them. 5 hours later, do the same. With the passage of every week, increase the number of items in that list and recall them later and later. Push your brain to its limits of mental stimulation. Laughter sure is the best medicine for your brain as well. That’s because when you laugh, you engage various regions of the brains that otherwise are left unengaged. And the more of your brain you use, the better your memory power becomes. Did you know that the hippocampus and cerebellum of the brain are responsible for creating new memories as well as processing information? Vitamin D pathways were found by scientists in those areas of the human brain, showing improved nerve growth with an increased consumption of vitamin D. The sun of course is the best source of vitamin D, but if you stay a lot inside, then vitamin D3 supplements or a safe tanning bed work just as well. If you want to help memorize your notes faster, then chew some flavored gum while doing so. Now scientists don’t know exactly why this method works, but they do know that it works. Several studies have indicated that participants who chewed gum were able to recall more information than participants who didn’t chew gum. To make things interesting, you can work on how to increase memory power by switching the flavors of the gum for different subjects or topics. This will help your mind differentiate between those information with ease.